Our Clouds Collection of furniture for kids is guaranteed to delight both you and your child. 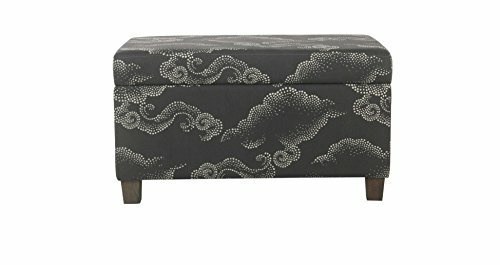 The whimsical cloud motif is printed on 100% cotton with a gray base and a dotted cloud pattern. Created to work with any room,The storage bench is a stylish way to hide toys and other treasures while maintaining order in your child's room. Easy to assemble and maintain with spot cleaning as needed. Dimensions16.0 In. X 32.0 In. X 18.0 In.